At Wisdom we use whitening strips and tray whitening. For tray whitening, impressions are taken from which a study model is made. This is painted with a special material which increases the thickness of the tooth area. When the tray is prepared, a small pocket is produced. 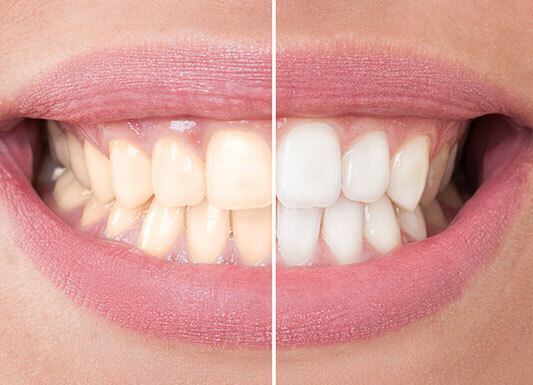 The whitening solution occupies this pocket ensuring that it only comes into contact with the required surfaces and that no damage is done to the soft gums.